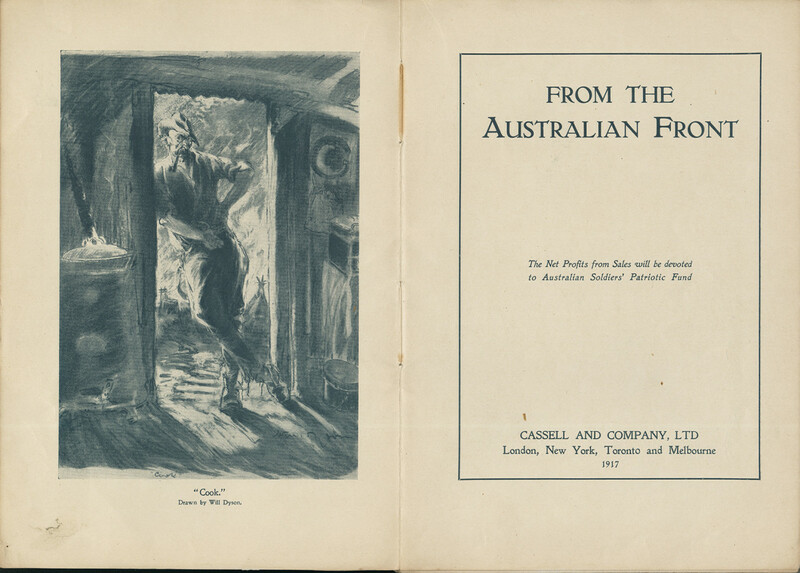 At Christmas, two years ago, … we were presented with an excellent production in the form of the “Anzac Book.” That was our second Christmas at war. We are now approaching our fourth, and let us hope it may be the last one during which we shall find ourselves fighting. 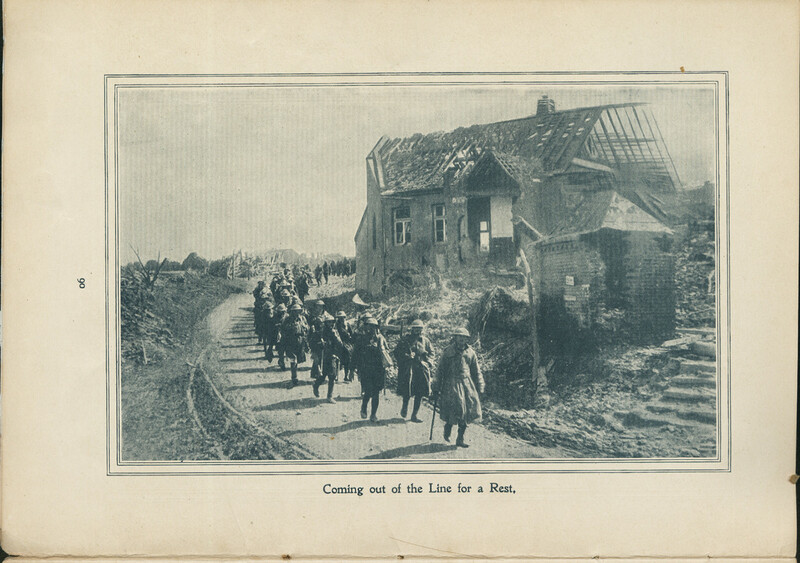 The war was indeed over by Christmas 1918, but demobilisation was a slow process and a large contingent of the AIF was still in France and England. 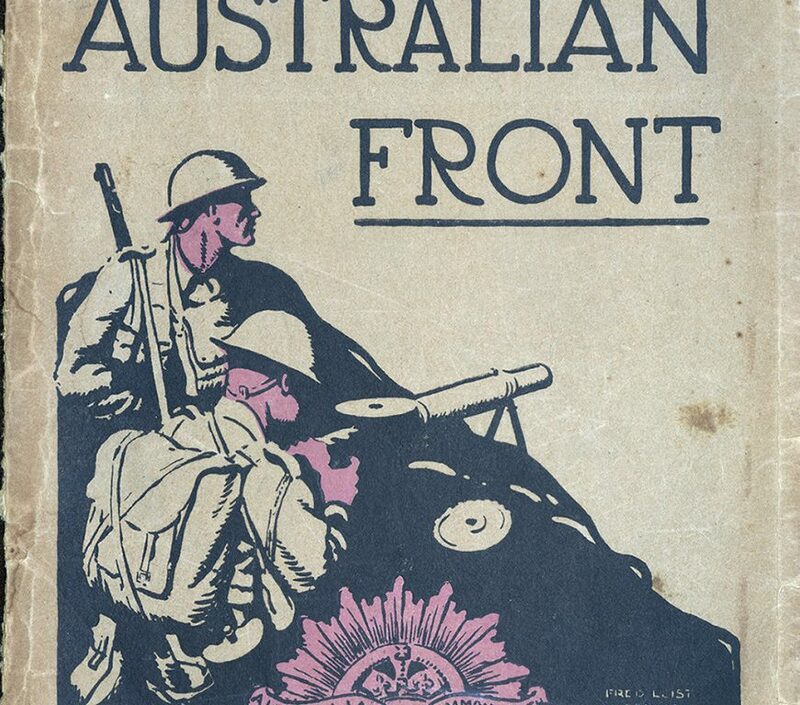 From the Australian Front was now being promoted as a ‘souvenir’ of the war. Sold for 4s 6d ea proceeds would benefit the Soldiers Comfort Fund. By December 1918 the first ships had arrived in Australia with returning troops, but a great number of soldiers would be recipients of the Comfort Fund before the last were repatriated to Australia in 1919. 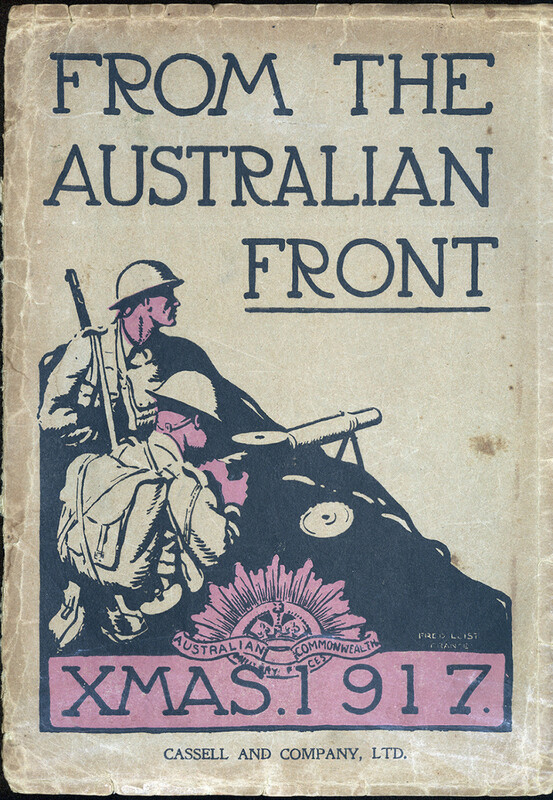 Promoted as a companion book to The Anzac Book , From the Australian Front differed to The Anzac Book which was mostly composed of contributions from service men who had taken part in a competition to submit pieces for the first ‘trench’ publication. 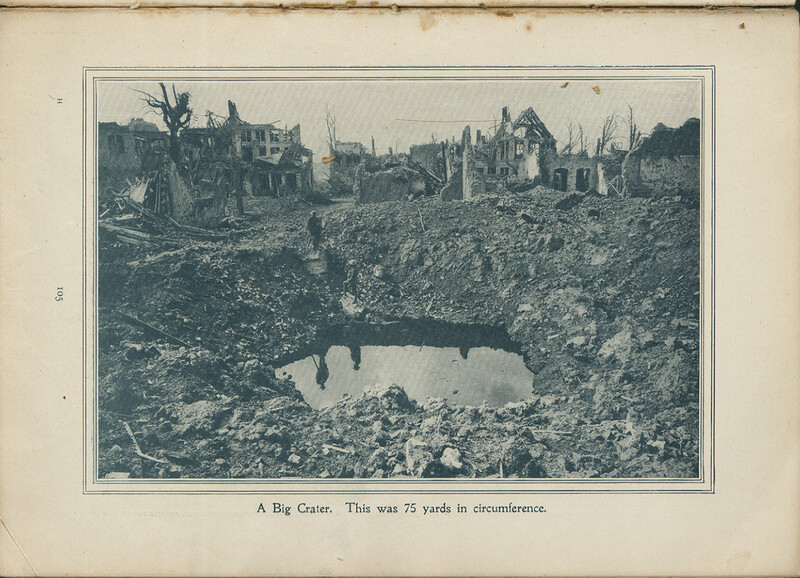 By contrast, From the Australian Front was a collection of photographs and artwork, portraying the grim reality of the war in France, with images of devastated landscapes, soldiers in active engagement and trench living, exploding shells and ruined buildings, with a smattering of ‘trench sketches’, Digger humour and slang. 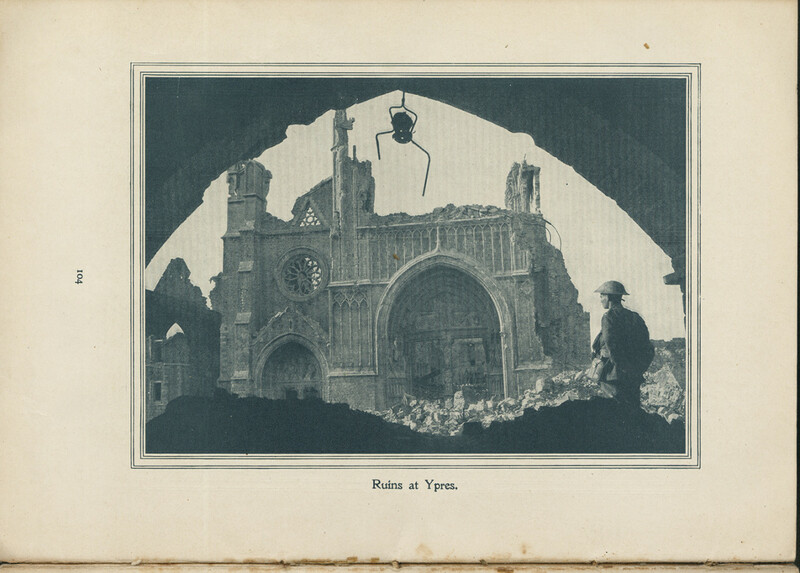 The war in France brought together a number of war artists and official photographers and the work of several are included in From the Australian Front. 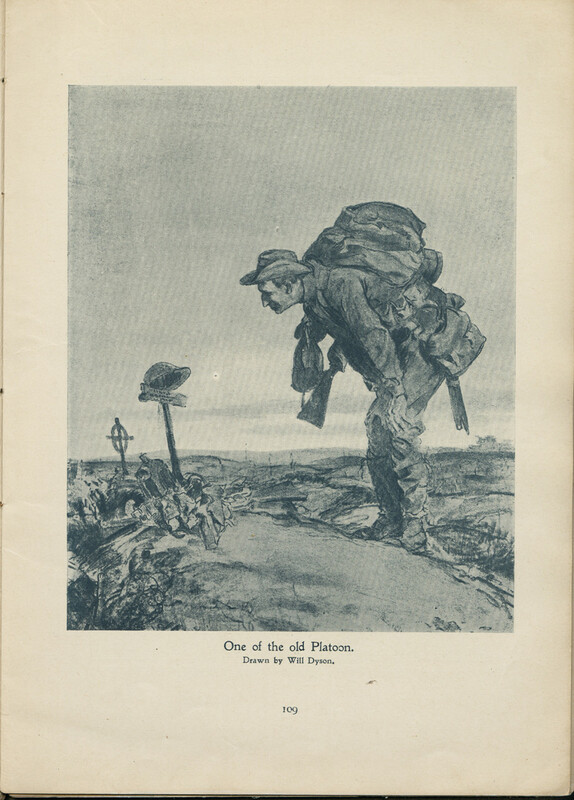 Will Dyson, already well known as a cartoonist based in London, was appointed as Australia’s first war artist in 1916. Daryl Lindsay, Dyson’s brother in law, were serving with the AIF in other capacities. While not an official artist, his work features in the book. Daryl Lindsay would later become Director of the National Gallery of Victoria. Frank Hurley, famous for his work on the Antarctic Expeditions of Douglas Mawson, was one of the official war photographers recording the scenes in the Somme, Pozières and Ypres. Hurley’s approach to filming live explosions and his creative composition riled Charles Bean, who was responsible for the editing of the volume. This did not prevent a number of his images being included in From the Australian Front. Frank Crozier served in Egypt and at Gallipoli, and had created illustrations for the Anzac Book. In France he was attached to the 1st Anzac Corp Topographical Section and later worked as a camouflage artist. True pictures of Battlefields are very quiet looking things. 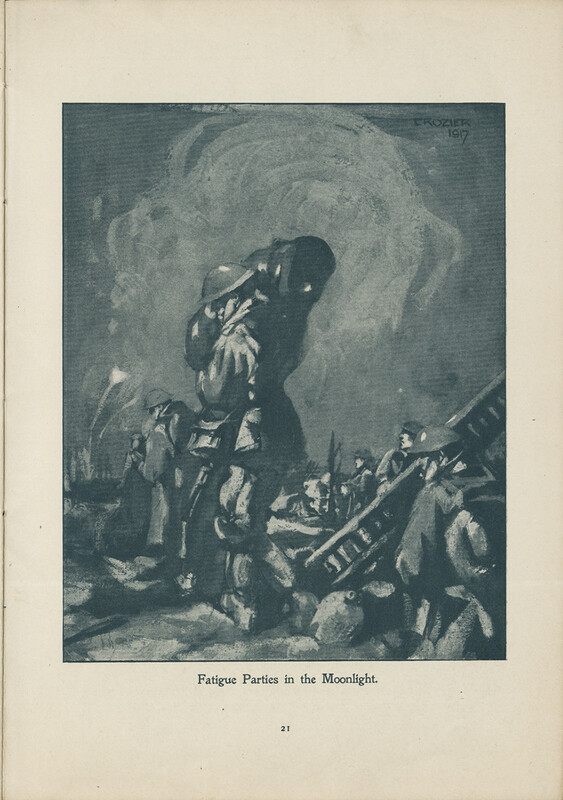 There’s nothing much to be seen – everybody & thing is hidden & camouflaged – it is only in the Illustrated papers one gets a real idea of Battle as it occurs in the mind of the man whose never been there. JCPML00453/421 From the Australian front, Xmas 1917 and JCPML00453/420 The Anzac Book belonged to John Curtin. They are part of the Curtin Family Library collection. Previous Previous post: 48. The Pear Tree Dance Quilt, 1999.